This specially crafted package consists of a high impact, super bright flashlight stun gun, an 18% Wildfire Pepper Spray, and a loud, attention-getting panic alarm. With a nurse's safety in mind, these tools provide a barrier of protection for anyone in the medical profession. Called the BashLite, this sleek and easy to carry self defense product is made of high quality aircraft aluminum which means this can also be used like a kubotan. With it's powerful beam of light, use it to light your way or to shine in someone's eyes to disorient them. As a last resort, this 4.7milliamp stun gun will either scare them off or give them enough pain that they would have wished they'd ran off. Being able to fend someone off from a distance is a major advantage you have when you carry pepper spray. Just as important is for that self defense spray to work upon contact - immediately - with zero seconds for it to take effect. That's what you get with this 18% Wildfire Small Keychain Model - Instant stopping power! When that unlucky someone gets a blast of this to the face, you will have the opportunity to escape and get help. 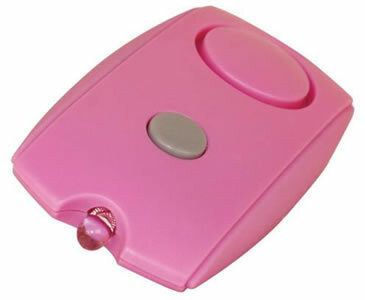 This mini personal alarm emits an ear piercing alert that will bring attention to your situation. Activate it when you feel threatened. Fits on your keychain. Also has a light you can use to illuminate your immediate area. Measures only 3" x 1 1/2" x 1/2". There are many choices to select from when considering personal self defense items. We've chosen these items to give our nurse's the best chance if they ever need to protect themselves. A bright light to the eyes would disorient and temporarily blind anyone. 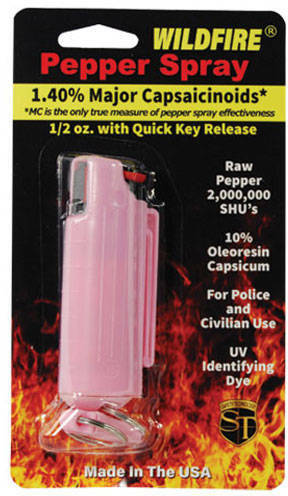 If they won't leave you alone, you can tell them you have pepper spray. If they continue their advance, bring the pepper spray in front of you and spray them directly in the face. Wildfire is an inflammatory agent, not an irritant. It will affect them in a debilitating way. 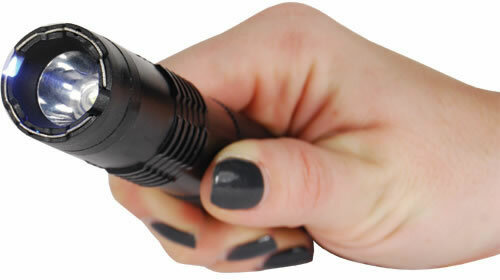 Use your flashlight stun gun if you still need to fight to get away. This will inflict severe muscle contraction pain in the spot that you make contact. Hold the stun gun on them for as long as you can. The longer the contact, the more effective it is.